Radius Book Group, 9781635763676, 224pp. The Eat, Pray, Love for busy executives, Take Off Your Shoes invites the reader to join a journey of self-rediscovery. If 10% Happier made you more mindful, and Wild more adventuresome, Take Off Your Shoes will ground you and help you find your soul. 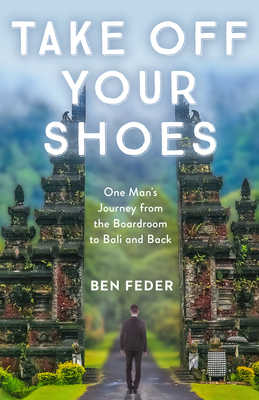 "The magic of Ben Feder's narrative is that we see our own lives unfold as we travel alongside him on his journey. His poignant inner monologue touches us and emboldens us to make braver choices in our own lives. We are left richer for the voyage. "―Eric Langshur, author of the New York Times bestseller Start Here A hard-charging CEO of a large enterprise, Ben Feder discovers that he is losing the very things that sustained him over his years of business success. Unsettled by his insight and determined to rebuild family relationships and rejuvenate his sense of purpose, he risks his career on a life-altering physical and emotional journey. Together with his wife and children, Feder sets off for an exotic island on a self-prescribed sabbatical year. That experience transforms them all. The writing is honest and moving, baring the author's innermost struggles and fears, and enticing the reader to share his quest. As Feder navigates the thrills and pitfalls of his time away, he draws us into remarkable examinations of values and priorities in adult life.